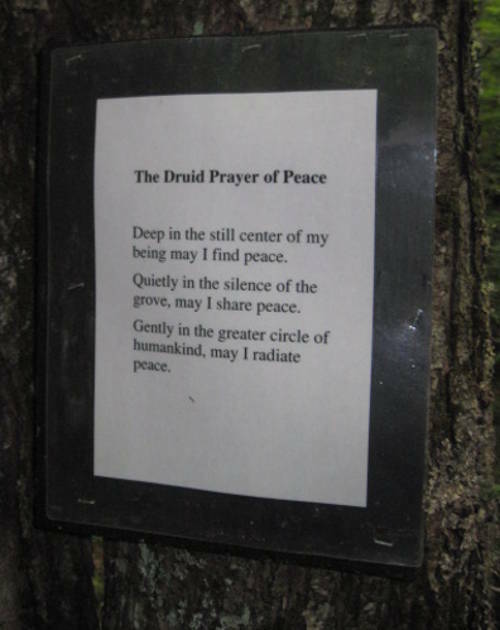 If you join rituals of many of the contemporary Druid orders, you’ll encounter the Druid Prayer frequently. (In OBOD rituals it’s simply standard practice.) 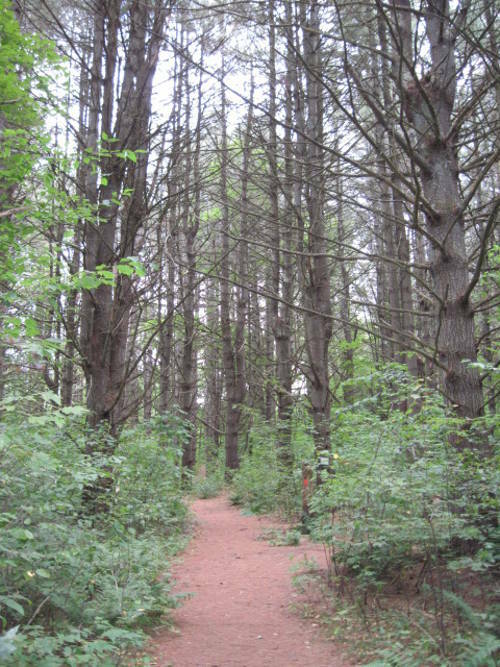 Some Reconstructionist Druid groups may eschew it because it originates during the “Druid Revival” period beginning in the 1600s, rather than from what we can recover of historical Druidry, but for all that, the claim often used to introduce it, that it “unites all Druids”, is more than wishful thinking. Or it could be. the love of God (or Goddess/Spirit/etc.) and all goodness. But if the Granter gives, the effects of the gift do provide a kind of return. If we’re protected, strengthened, granted understanding, knowledge, love of justice, of all existences and of God, you could argue that large transformative effects will doubtless follow, and constitute their own return. We certainly won’t be the same, act the same, or — most likely — pray the same. If we can’t get there any other way, sincere and heartfelt petition can do the trick. As with so many elements of our group practice, we too rarely talk about them; first we’re busy preparing and then doing them, and feasting and socializing after. The sense of having “held up our end” can be palpable after ritual: the atmosphere tingles with a sense of scales recalibrated yet again. Witnesses, petitioners, performers, vessels and channels for holy energies to enter the world through our own imperfect and holy lives, we’ve reconnected, remembered, listened. But because I know how I can end up mouthing the words, even as their familiarity is a comfort and a part of the ritual energy flow, I keep returning to the practice of embodying rather than merely asking. I need something to stop me, shake me, take me out of myself, and yes, out of the ritual moment, while holding me to a higher standard than I came with. It’s a kind of second prayer, or personal ritual. It may take me 10 or 20 minutes to fulfill it, because I need to slow down to do it, whether I say the words aloud or bring them to awareness in some other way, feeling them in my bones, touching the earth, cupping a ritual flame, gazing at the horizon, repeating them till they sink in, carrying their vibration till a door opens inwardly, any and every one of these ritual gestures. “Do till it’s true”. I want to realize “as above, so below” however I can. All I know is that for me the energies of this different manner or form of prayer also differ — and I need that difference. knowing and loving your honor as the source of mine. in my life, handle toward me. and live these things always. In the previous post I said I’d talk about prayers and praying. If there’s a blogger’s equivalent to stage fright, I get it at least 50% of the time. I commit, I step up, and — yup, there it is, running its paws along my spine. (It helps keep me paying attention to guidance I receive.) Who am I to write some of the stuff I’ve written? I’m a person like you, alive today. That’s all the authority any of us needs. Anne Lamott’s Help, Thanks, Wow: The Three Essential Prayers offers a helpful starting point for prayer and fasting. Because each of the three kinds of prayers in her title combine both: I can’t ask for help if I don’t fast from pride or despair. I can’t be grateful if I’m caught up in fear and anger, and so on. Prayer IS fasting, and vice versa — a magical choice to place our attention not where anybody else wants it but where we choose. Sometimes all I can do is ask for help. Often asking — even trying to ask — opens a door, especially if I can shut up before and after, even if it just means hearing the hinges squeak. Something’s in motion that wasn’t before. After a three-year job search, I despaired of outside help. Persistence and patience between them do gather up tremendous reservoirs of energy. But you get in line, one of my wife’s go-to techniques, and you advance until it’s your turn just wasn’t working for me. Until it did. Last week I received a solid job offer to do just what I’d been asking for. But because it was out-of-state, because it meant a move and other changes — because it asked me to grow into it — I immediately found several reasons to say, quite loudly, NO! Fortunately, just not to the person offering me the job. As U. K. LeGuin so gracefully puts it, I had to enlarge my heart to accept the gift. * And I had to recognize the gift as gift before I could even do that. I ask you — what can the gods do with such mortals?! Other times you just want to say thanks. If I haven’t done so for a while, I can tell by how it feels to start up again. Like I’d forgotten a key ingredient. But now it’s back in the sauce, the mix tastes sweeter, the glue sticks, the paint dries to an appealing hue. This blog offers guarantees very rarely, and for good reason. But practice no other prayer than gratitude for a year and a day, then get back in touch. I guarantee this triad: transformation, wonder, and a new conviction in you. Wow is a third kind of prayer. If you choose, you can perceive awe as a form of tribute, a gift at the altar. “The finest emotion of which we are capable”, Einstein exclaimed. “is the mystic emotion. Herein lies the germ of all art and all true science”. Even if we scale it back for the sake of the skeptical among us, who doesn’t appreciate awe? How else to feel so small and so connected at the same time? In a post from a few years ago I looked at a “prayer prompt” I still find valuable. The prayer serves as a starting point for how I try to pray for others in difficulty without mucking things up further for them with what I think they need. It’s also more eloquent than I can usually manage to be, which never hurts either. We have entreated many things of the gods, Alexias. Sometimes they gave and sometimes they saw it otherwise. So today I petitioned them as Sokrates once taught us: ‘All-knowing Zeus, give me what is best for me. Avert evil from me, though it be the thing I prayed for; and give the good which from ignorance I do not ask.’ — Mary Renault. The Last of the Wine. Pantheon Books, 1964, pg. 344. Other times prayer means simply immersion. 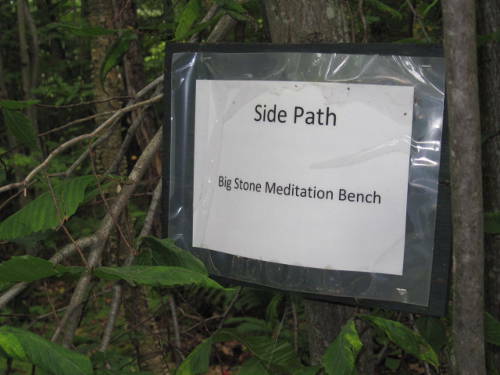 I go for a favorite walk, I sit with a favorite CD, a song or chant for meditation, or I follow a theme in a series of meditation sessions, and I’m in it. Borne away from here-and-now to there-and-then. Sometimes I only know when I return, like waking from a dream, that wherever I was, it sure wasn’t here. And I’m better for it. You may turn to other prayers, or you’ve written your own. I’ve mentioned sources like Caitlin Matthews’ Celtic Devotional. Sometimes all I can manage is the spontaneous cry of the heart, standing at my backyard fire circle, facing an indoor altar, or stunned to despair while I stand in the shower, hot water indistinguishable from tears. You go with what comes. Sometimes it’s stillness I’m called to. In the stillness I may receive much. The blessing of turning off the monkey mind. Intimations of the future. A nudge towards or away a choice, a pattern, a practice, a person. Or any of a range of still small voices that will never shout to be heard, that have waited patiently for me to listen once again. Sometimes it’s a reminder about a commitment I’ve made. In that case it’s a god invoking me, rather than the other way round. How have I answered, how will I answer, now? The offering I made was for my own good as well as a gift. The service I vowed transforms me in the doing of it, even as it fulfills a request by guide or god or spirit I have promised. Sit, sing, and wait, counsels one of my teachers, if I need things to clarify, and no other path seems clear. And a book that same teacher delights in offers two additional pieces of advice, opening and closing the same paragraph: “Hold all and wait … Drop all and start over again.” Both valid, both true, both potent for good. How to know which to practice, other or either, if not both at once? I turn once again, I return, listening, praying, fasting. Don’t we all? LeGuin, U. K. A Wizard of Earthsea. Bantam Books, 1968, pg. 69. In this post you’ll find me wearing my hat of the linking, connecting and informing Druid, so salt to taste. And out of such echoes from a distant past comes the Romantic conception that Druidry and Christianity initially co-existed in amity. Evidence exists both to support and refute such a view. But whatever the reality of that period, which we may never know, we can certainly identify its spiritual gold and and continue to create with it in the present. Although Christianity ostensibly superseded Druidry, in reality it contributed to its survival, and ultimately to its revival after more than a millennium of obscurity. It did this in at least four ways: it continued to make use of certain old sacred sites, such as holy wells; it adopted the festivals and the associated folklore of the pagan calendar; it recorded the tales of the Bards, which encoded the oral teachings of the Druids; and it allowed some of the old gods to live in the memory of the people by co-opting them into the Church as saints. That Christianity provided the vehicle for Druidry’s survival is ironic, since the Church quite clearly did not intend this to be the case (pg. 31). Truly, I tell you, unless a kernel of wheat falls to the ground and dies, it remains only a seed; but if it dies, it bears much fruit (John 12:24). An extensive Druid-Christian liturgy could be written with just the nature images that pervade Christian and Jewish scripture. Already many such resources exist. 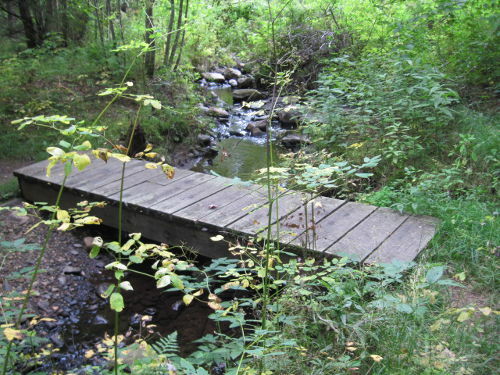 The OBOD website provides “Resources for Exploring Christian Druidry“, which include music, ritual calendars, books, and links to organizations like Forest Church. Life and death are ironic, paradoxical. As integral gestures and movements of the cosmos, they’re also a “human thing”: we long for and fear the change that comes in death as in all such transformations. Initiation prefigures it, and life delivers it without fail. We all live and change, die and change. 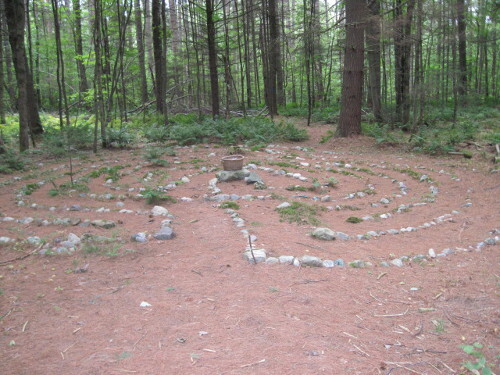 Druidry offers itself as a prime example of what it teaches, living, dying, changing and living again. 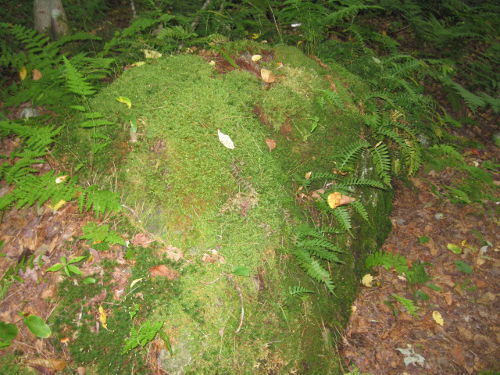 Druidry is the Western form of an ancient universal philosophy, culture or religion, dating from the days of early man when the three were one (pg. 19). May the blessing of the Uncreated One, of the Created Word and of the Spirit that is the Inspirer be always with us. May the world be filled with harmony and Light. A more orthodox rendering of Chief Nuinn’s triadic formula might be “May the blessing of the Uncreated One, of the Creative Word and of the Spirit that is the Inspirer be always with us”. This, I believe, would not only be more truly in tune with the bardic experience, but would also resonate with the Om/Creation idea found in the Hindu tradition. As we envision Awen, the primordial sound, echoing out of the void, we connect with our own creative inspiration as part of that first creative Word, which is in Christian terms, at once Christ and his Spirit. In the 4th century St Augustine declared, “That which is called the Christian Religion existed among the Ancients, and never did not exist, from the beginning of the Human Race until Christ came in the flesh, at which time true religion, which already existed began to be called Christianity”. That the religion of our most ancient ancestors is in essence very similar to that of our more recent ancestors is the conviction that keeps some of us simultaneously both Druid and Christian. might be pleased to learn of such a dialogue between Druidry and Christianity, particularly when it results in specific action being taken to initiate a new impulse within the Christian movement. 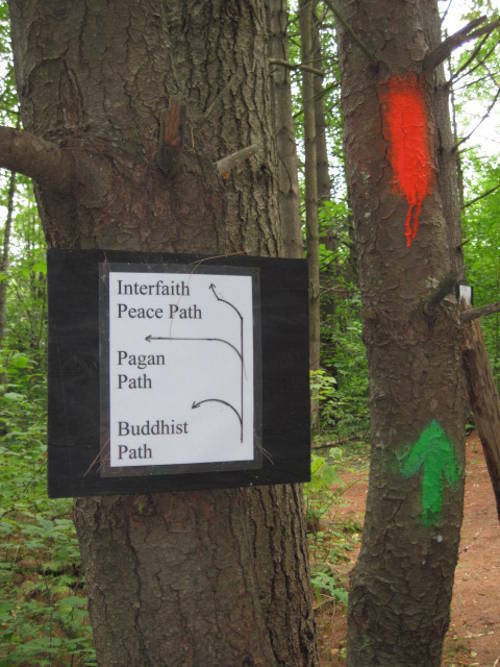 Others might be disappointed, hoping Druidry was exclusively ‘pagan’. But Druidry is a way of working with the natural world, and is not a dogma or religion … Druidry honours, above all, the freedom of the individual to follow his own path through life, offering only guides and suggestions, schemes of understanding, methods of celebration and mythical ideas — which can be used or not as the practitioner sees fit (pg. 14). 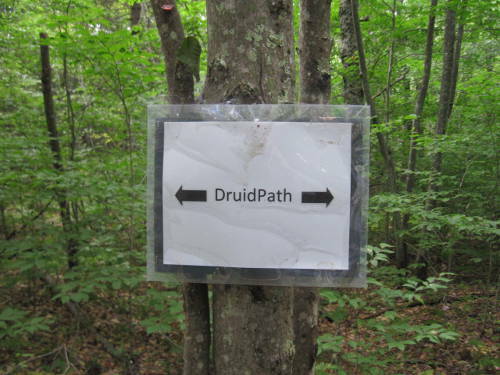 Ár nDraíocht Féin: A Druid Fellowship (ADF) is a Pagan church based on ancient Indo-European traditions expressed through public worship, study, and fellowship. As a part of the work of growing our spiritual current the clergy of ADF have been exploring an otherworldly locale and inner Nemeton where we have been forming relationships with beings we call the ‘Ancient Wise’, those of the Sacred Dead who were poets, magicians and priests, and who would be willing to join with us to help us all walk the elder ways. This has been done through the good offices of the two deities who we honor in every sacrifice, the Warders of the Ways, the Earth Mother and the Keeper of Gates. And in the love of all existences, the love of God/dess and all goodness. 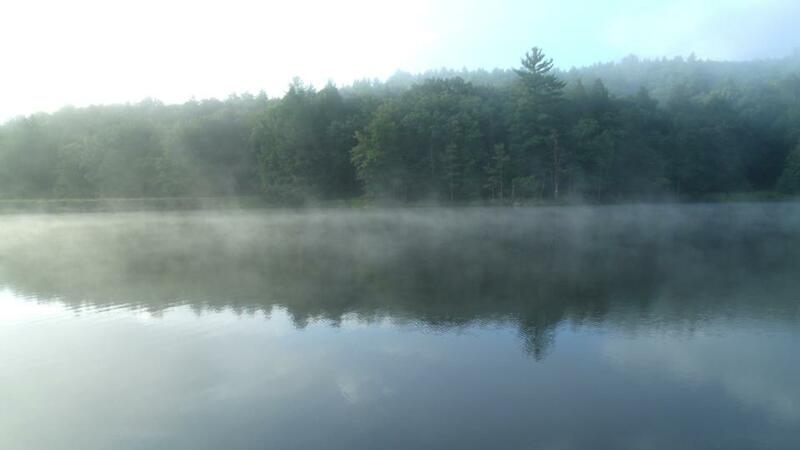 The lake in the picture (photo credit Sara Corry) is at the base of Camp Netimus, where the East Coast Gathering assembled for its third year this last weekend. In the presence of such moments, it’s easier to perceive that the physical world is one face of the holy, or as Jung expressed it, “Spirit is the living body seen from within, and the body the outer manifestation of the living spirit—the two being really one” (253). Humans respond to beauty and to such transparent intervals as this, often in spite of what they may consciously believe or claim about reality. We cannot help but be moved because we are part of what we witness. We may witness a score of hierophanies, visions of the divine, each day. 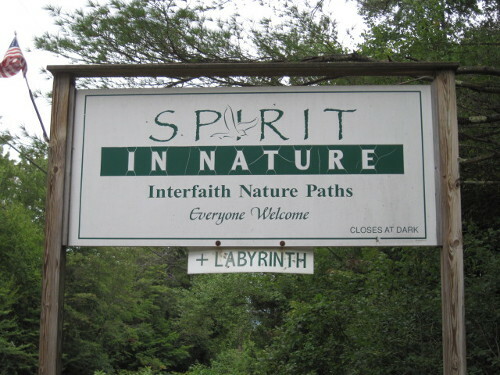 Whatever our beliefs, these openings to the sacred nourish and help sustain us. The rebalancing we hope to accomplish depends on our state of consciousness, on our ability to accept a gift given. And so in a workshop last weekend, “The Once and Future Druid: Working with the Cauldron of Rebirth,” we repeatedly turned to another seed-passage, this time from Neville’s The Power of Awareness: “The ideal you hope to achieve is always ready for an incarnation, but unless you yourself offer it human parentage, it is incapable of birth.” I carried that with me for several days, marveling at its ability to focus the attention. Whenever I found myself falling into old patterns of thought, I return to its simple truth. The power of such meditations and seed-exercises reaches beyond their apparent simplicity or even simplisticness. In one sense we are consciously meme-planting, even if it’s on a personal level. Why not plant our own, rather than be subject to others’ constructs, which may not suit us? Yes, these seed-thoughts and heart-songs may remain lifeless if we do not ignite them with our attention and desire. 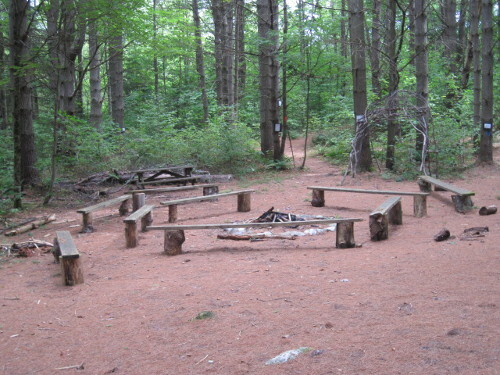 But properly sustained, like a campfire (sorry … the camp images stick with me! ), fed and banked and tended, it can pour out a healing and transformative warmth all out of scale to its visible size. Jung, Carl. Modern Man in Search of a Soul. London: Routledge and Kegan Paul/Ark Paperbacks, 1984.